"This for me is Mervyn's best format, Merv is a magnificent double 16 hitter and I think he'll keep Jermaine under the cosh long enough to make him buckle." This for me is Mervyn's best format, Merv is a magnificent double 16 hitter and I think he'll keep Jermaine under the cosh long enough to make him buckle. A very similar player to Ricky Evans, Jermaine Wattimena is so quick he sometimes struggles to adjust to other targets when switching, there's an obscene amount of switching in this discipline, double to treble, then maybe switch again. 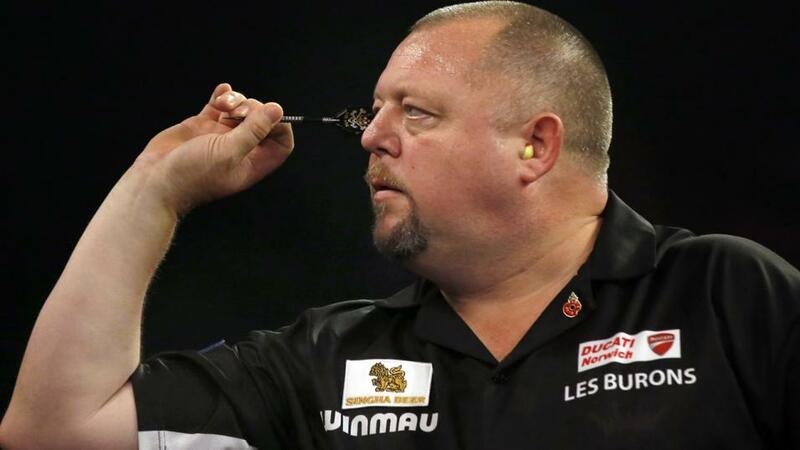 I think Mervyn will use his experience and win this comfortably. 11/8, I literally couldn't believe my eyes. I personally don't believe Jeffery is a better player than Kim. Yes, I know Jeffery has beaten some world class players recently, namely at the World Matchplay where he reached the semi-finals, but this is his debut in this event and double start isn't always fun for those who need a rhythm, and de Zwaan needs a rhythm. Kim has been playing better in recent months, he'll fancy this. I fancy him for this too. 11/8 is way too big. RVB should win this handily enough, his experience playing the format and overall quality should see him into the second round. Ricky is having a purple patch, but he's often too quick for his own good, if he gets a little panicked which is likely in my opinion he'll start missing enough to make Raymond's life easier.